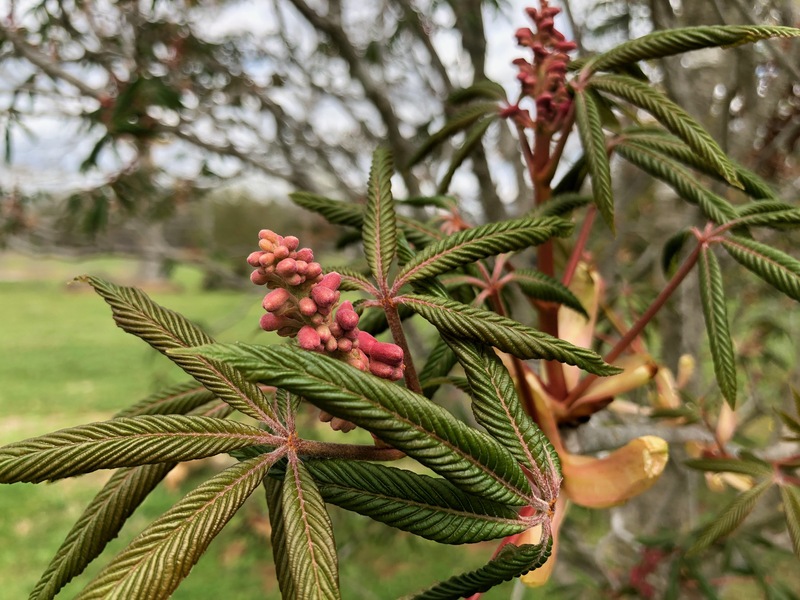 This is an educated guess that we’re looking at a Red Buckeye tree (Aesculus pavia – location: Reynolds Community College West campus), not a Red Horsechestnut (Aesculus carnea – a hybrid of the Red Buckeye crossed with the species horsechestnut – Aesculus hippocastanum). The Red Horsechesnut tree is much larger with larger bloom clusters. 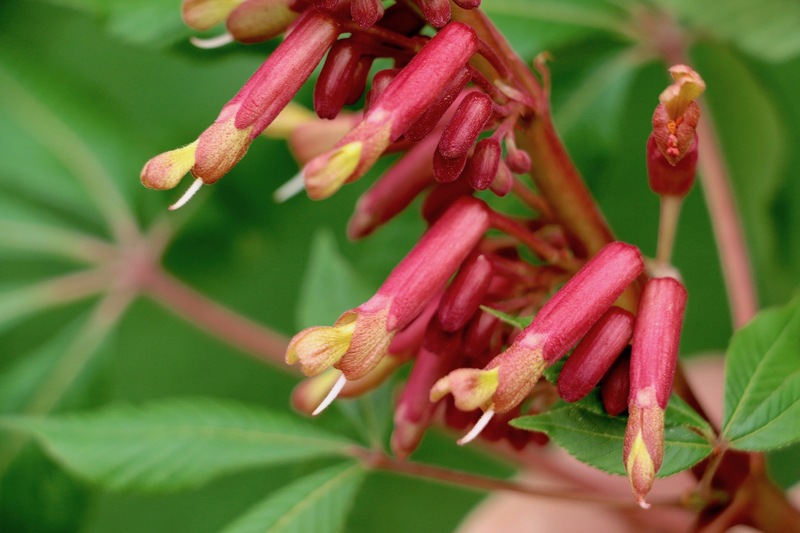 Red Buckeye blooms attract ruby-throated hummingbirds, but not necessarily “chestnut brown canaries or ruby-throated sparrows” (Steven Stills, Suite: Judy Blue Eyes). This is why Ohio State football helmets sport horticultural stickers.